On August 23rd, AANM hosted its Annual Apartment Market Outlook for the 13th year running. Attendees were a cross section of our New Mexico real estate community, plus experts representing a variety of market analysis. Our goal with the forum is to have attendees come away with a better understanding of the linkage between our local economy and the operation of the apartment rental market, and to gain insights from market leading investors and property managers about the current status of the local market, its anticipated performance in the year ahead, overview the performance and trends in our market compared to major markets throughout the West and to analyze data trends locally versus national information. "25 stars for panel gender equity! And 250 stars for superlative panel content. Thanks for the education. Besides being intellectually interesting it had a strong motivating quality." 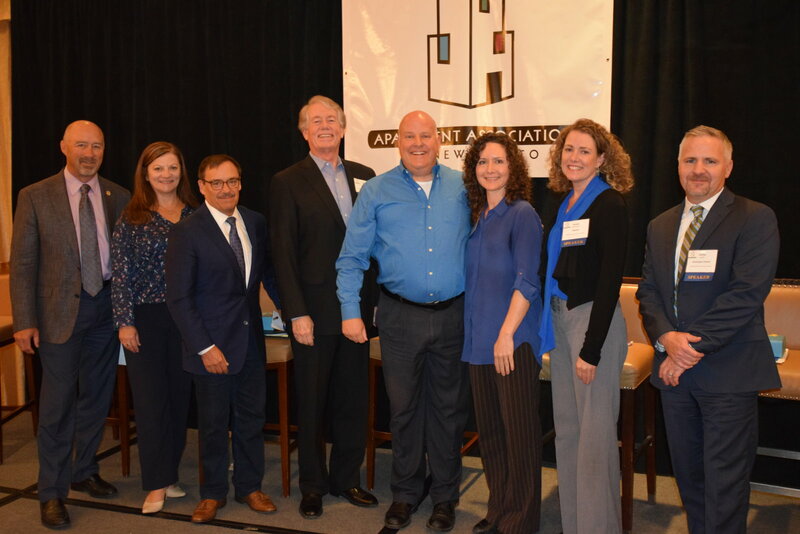 The Apartment Association of New Mexico extends our gratitude to our panelists and facilitator, without which the program would not have been such a success.